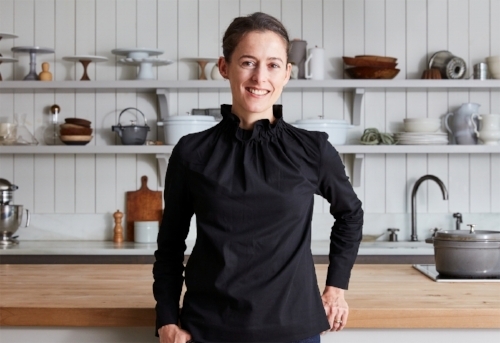 Amanda Hesser is CEO of kitchen and home company Food52, which she co-founded with Merrill Stubbs in 2009. Food52 was named Publication of the Year by the James Beard Foundation in 2012 and Best Culinary Website by the International Association of Culinary Professionals the last three years. From 1997to 2008, she was a Reporter and Food Editor atThe New York Times. Hesser is the author of Cooking for Mr. Latte: A Food Lover’s Courtship, with Recipes and The Cook and the Gardener and the co-author of two Food52 cookbooks. Her The Essential New York Times Cookbook was a New York Times Bestseller, and her most recent book, written with Stubbs, is A New Way to Dinner. Hesser has been named oneof the 50 most influential women infood by Gourmet, played herself in the Nora Ephron film, Julie & Julia, created the Twitter app Plodt, and served on President Obama's Commission on White House Fellowships.